Photo courtesy of Marl474 who has a new computer and is having issues with servimg. Hopefully we will find the answer one day! Yes I saw that listing Marl. 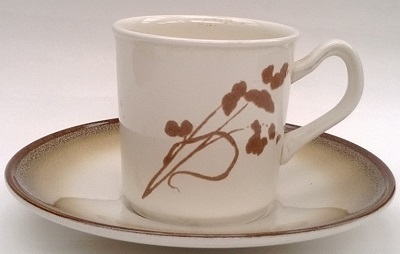 This range was made in 1980 and is recorded as "Classic" in the Crown Lynn Stoneware records and cover all of the shapes made in the Aurora patterns. 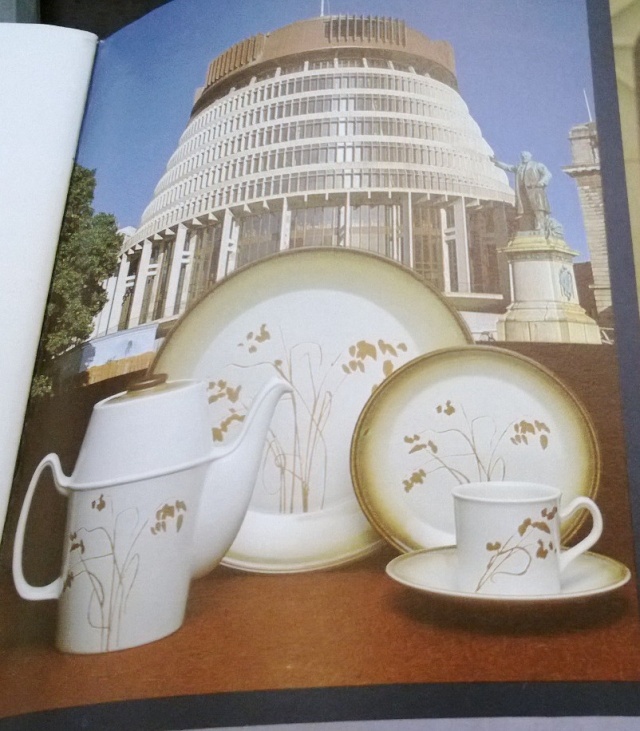 The House of Reps Pattern number 913 is from 1980 so I will add that number to the photo in the Gallery. 4805 - "Classic" Cereal - Soup 6 3/4" first made 22.5.80. 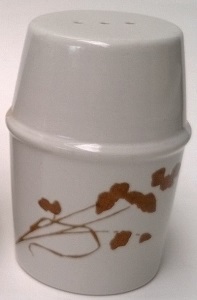 This is made of Stoneware clay and rings like a bell when tapped with a fingernail just like Stoneware should. 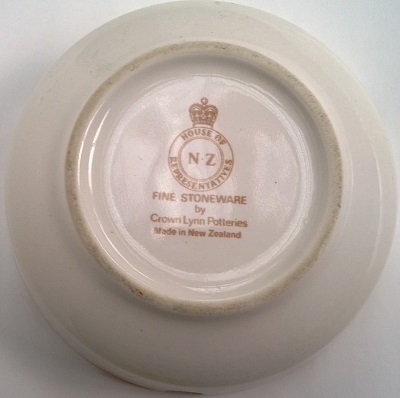 I saw some of this ware when I visited the Beehive with Heather when we went to Wellington to see the Crown Lynn Exhibition in 2011. 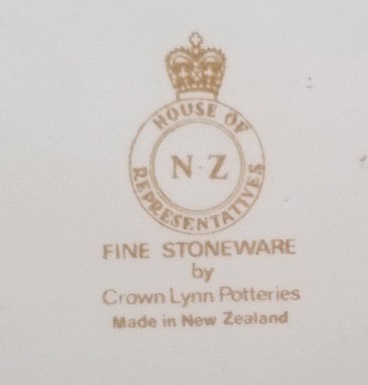 There were a couple of Crown Lynn patterns on display from the past. 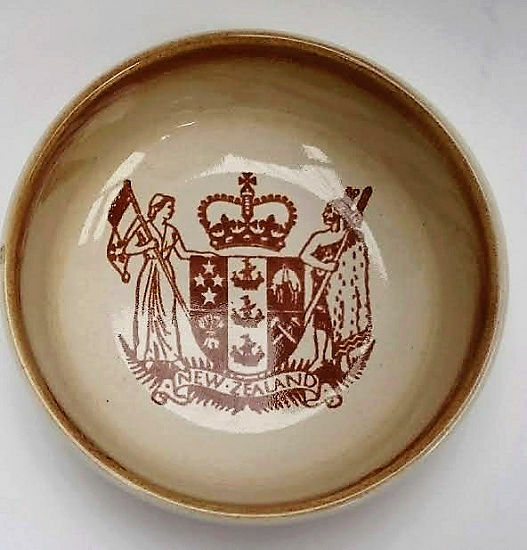 This House of Reps ware is hardly ever seen on TradeMe and I feel extremely lucky to get this piece! So much smaller than I imagined, but so beautifully made. Made on the Semi-Automatic, whatever that means in 1981. 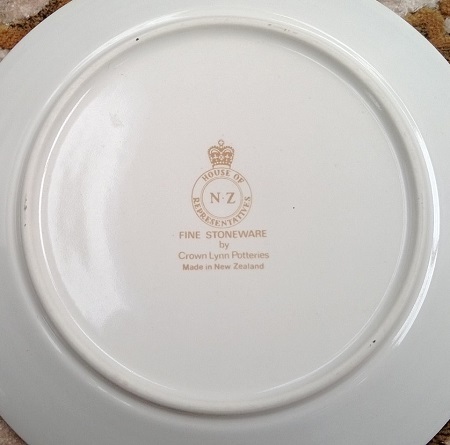 My heart now belongs to Crown Lynn's Stoneware, as it is the very best ware that they made in my opinion. 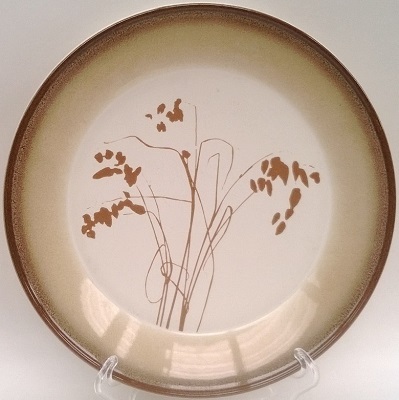 A House of Reps 4802 Salad Plate 8 1/4" first made 22.5.80. 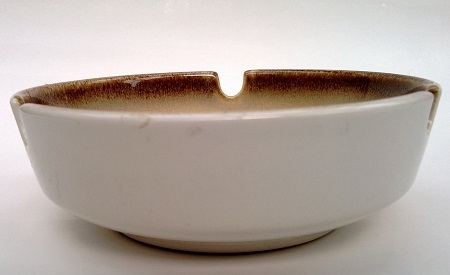 I worship this stoneware as it's thin but so strong and feels wonderful to the touch. 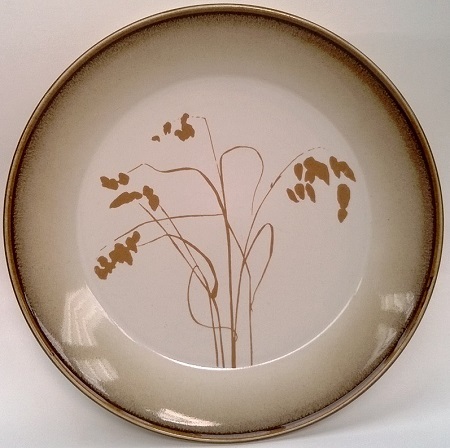 I am quickly building up a set of this fabulous dinnerware for our own use. Today I got 12 x Saucers, 12 x Bread & Butters, a lidded sugar and a salt & pepper. There is more to come from this trader including lunch plates, dinner plates and cocktail dishes and hopefully a cream jug. wow.. awesome Ev... good score !! Went to an Antique Fair today and got the 12 inch Chop Plate and one mug, both of these are in the photo of the Beehive above. 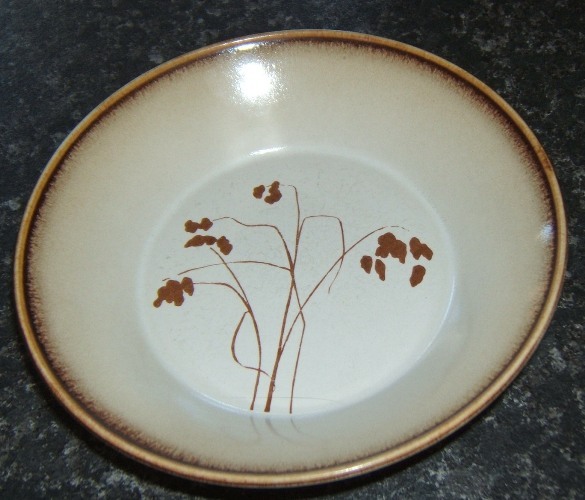 8800 Classic Chop Plate 12"
I need help to work out which one this is please!! This is a small sized cup really as it doesn't seem big enough to be called a mug. 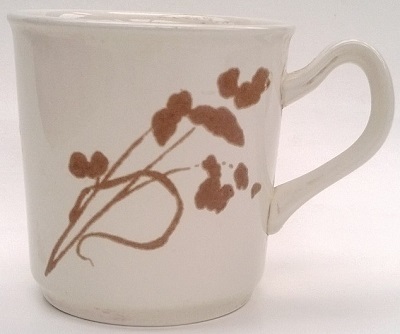 It's more along the lines of a Demitasse, but a little bigger. Ev... I would agree that's its a 3801- Reason...I just spent ages looking at the museum notes. 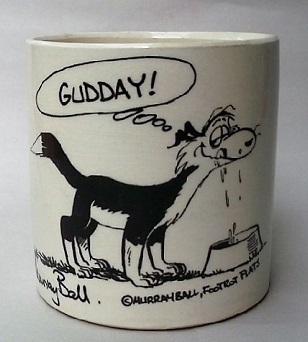 so 'Classic Coffee Mug 23.9.80',must be a bigger version as mugs usually are. 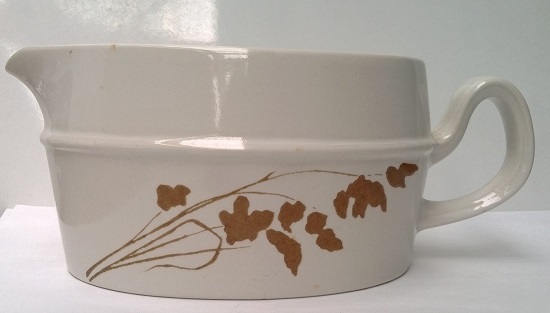 maybe with that weird shape handle from "1809 "Classic" Gravy Boat " ?? You are doing well sourcing this range ! 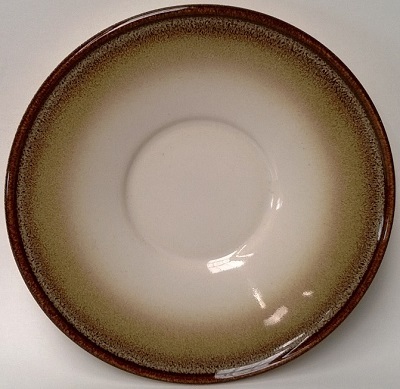 But you said you have side plates so these are prob.y surplus to your req.ments. 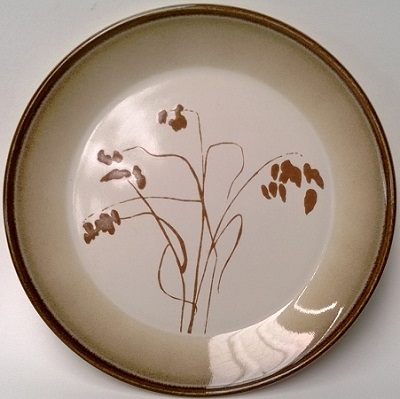 Yes, I already have 12 side plates from this unpredictable, hard to contact, strangely odd trader. She seems to have mountains of some of these pieces and talks about listing the whole set once they have all "come in" ...? I am keeping an eye on her listings and will pick up 12 lunch plates tomorrow that I won recently. Ev I found a 10cm Jug, if yr still looking for one. Owwww I still don't have the jug Kat, so I'm very interested. I can't find a number for the jug and I wonder if the number is on the base .....? Ugly as! but it wasnt expensive either at $2 ..sorry no numbers on base. I wonder if that is the Wild Wheat jug ? 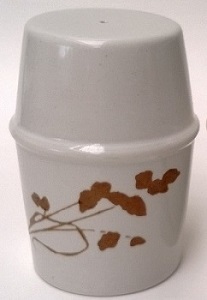 Same shape but without the wheat pattern. It would certainly do until I can source the one with a pattern. 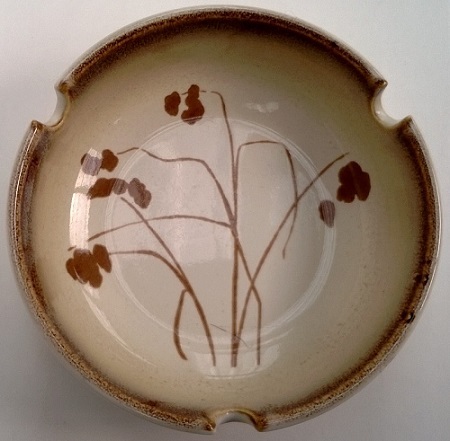 It's beautiful stoneware Kat ..... gorgeous! Yeahnnah Im wondering what they were thinking when it was designed! 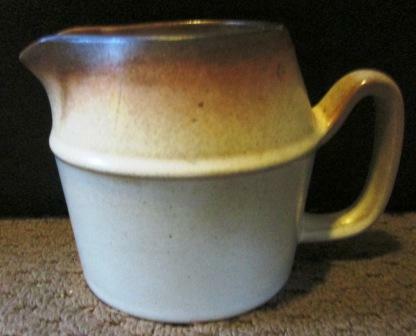 This Jug is quite liteweight for stoneware. Yesterday I got another House of Reps ashtray at the Antique Fair. I have seen this for several years now and yesterday I weakened and paid a princely sum for it, thanks to Swapmeet sales. Lucky that I did, because while looking for the number I came across new info from the Portage Museum. 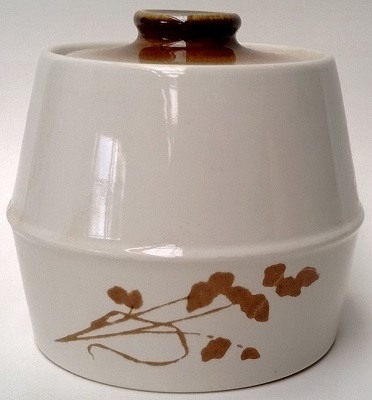 I realised that this one doesn't have clips, which are the places to put ciggies and is the Shape 3803 Stoneware Ashtray without clips and the ashtray that I had put into the Shapes Gallery does have these clips. So another correction, which is great as fine tuning will continue until we get it right. Bugger me that I can't find a number for the one above that has clips now!!! I adore the Coat of Arms on this one, but can't imagine wanting to use it for an ashtray and stubbing out butts on it. Found this pattern in a 1989 Stocktake and there were all of these shape numbers. The pattern number is d59900 and I have changed the number in the Gallery. There are two other House of Reps patterns, but they haven't been identified yet. We probably have them on the site, but don't have the info to establish which goes with what number .... yet. Does the monogram/badge count as a pattern Ev? Yes all of the Badged Ware have pattern numbers.